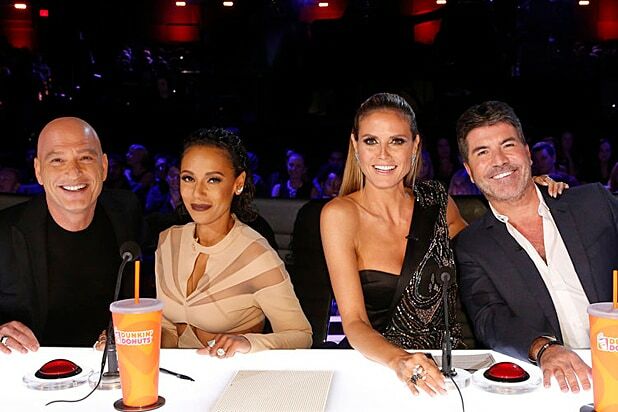 Simon Cowell will remain as a judge on NBC’s “America’s Got Talent” for three more seasons, the network announced Tuesday. The creator and executive producer of the “Got Talent” international format will be joined by returning judges Mel B, Heidi Klum and Howie Mandel when the show returns for Season 12 in 2017. Host Nick Cannon will also return. “It was terrific to see Simon in his judge’s chair this past season, bringing his unique expertise and enthusiasm to the show, night after night,” said Paul Telegdy, President of Alternative and Reality Group at NBC Entertainment in a statement. “America’s Got Talent” wrapped up Season 11 in September, crowning 12-year-old folk singer Grace VanderWaal the winner. The “Got Talent” format has spawned spinoffs in 58 countries, with the series still currently airing in countries including Australia China, Germany, Iceland and Turkey.